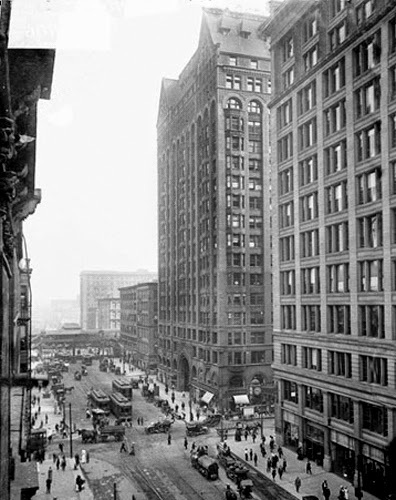 A big kerfuffle on this day, November 6, of 1890 as the city turned out for the ceremony to lay the cornerstone for the building that would rise at the corner of State Street and Randolph. The Masonic Temple, it was promised, would be the tallest building in the world when it was completed. The streets were packed. Windows were filled with spectators. 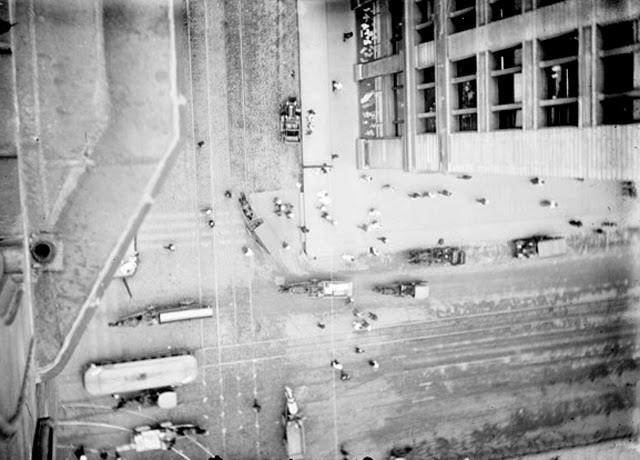 The roofs along State Street were lined with hundreds of people. 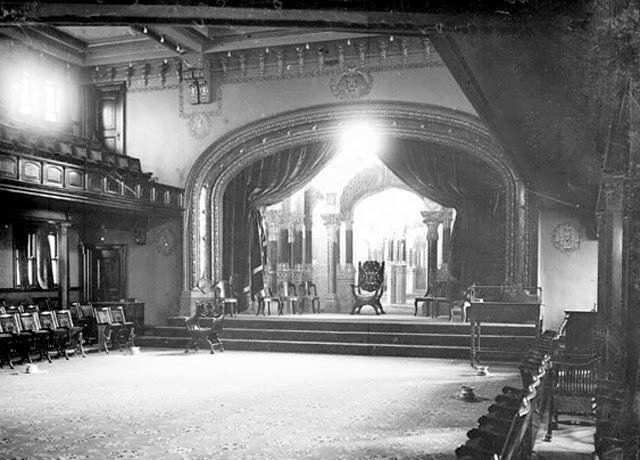 As Chicago began to prepare for the great World’s Columbian Exposition of 1893, an event that citizens saw as placing Chicago among the great cities of the world, the Masonic Temple would strengthen that notion. Towering 275 feet above State Street, this would be the tallest building in the world. “All of the arts of the present century will be employed to embellish its interior and give it an attractive exterior, and no expense will be spared to make it one of the most, if not the most complete structure in existence,” wrote The Tribune. In addition to several hundred offices, there were over 100 Masonic lodge rooms, some of them having a capacity of over 1,000 people. Each floor had a 12-foot central corridor with offices and stores lining each side, half looking through windows to the street, the other half overlooking the central atrium. 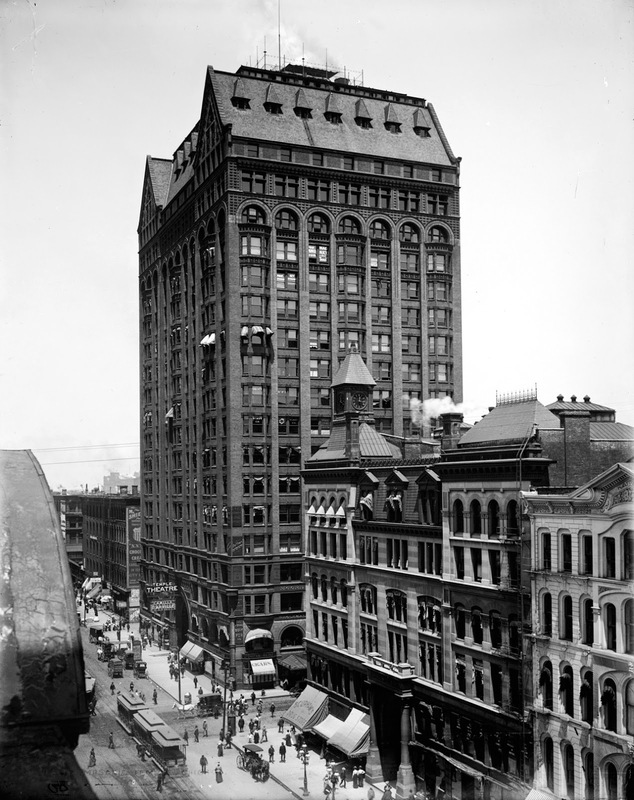 Fifty thousand safe deposit boxes were placed in the basement of the building, providing for annual income of $125,000. The Bankers’ National Bank with a capitalized valuation of $1,000,000 agreed to a ten-year lease on the corner space on the ground floor of the building for $160,000. The great building soon became a tragic memorial as less than three months after the dedication the building’s genius architect, John Welborn Root, died suddenly after “being seized with a severe chill” after a visit of architects from the east coast, who had shared the preliminary plans for the 1893 fair at Root's house. By March 1, 1891 the foundation for the great building was complete with “piers completed, cap-stones on, and the base of the steel columns set.” [Chicago Tribune, March 1, 1891] Workers had toiled in three shifts around the clock to complete this section of the project, and that was the first part of a schedule that moved forward at breakneck speed. There were penalties for any contractor who could not meet the ambitious schedule. The contractor responsible for erecting the steel frame of the building was required to take out a $100,000 bond, payable if the company did not meet the deadline for having that phase of the project finished. There was a $500 a day penalty for each floor not completed on time. The steel contractor was to forfeit $1,000 a day for each day a scheduled delivery was late. “A grander or more brilliant procession of Masons never marched along the streets in Chicago,” wrote The Tribune. More than 500 uniformed knights were in the line, their white plumes waving and their highly burnished swords clanking as they tramped along.” The procession was led by two platoons of policemen who tried to clear a path through the spectators who had lined the route. 1,550 more men, representing the Masonic lodges of the city, followed the contingent of dignitaries. A rope extending from a crane at the highest point of the front wall of the building was attached to the capstone, which lay on a table covered with the American flag. “It was so small and plain-looking that it was dwarfed by the mighty Temple,” wrote The Tribune. Ah, if only things had worked out as well as they were planned. 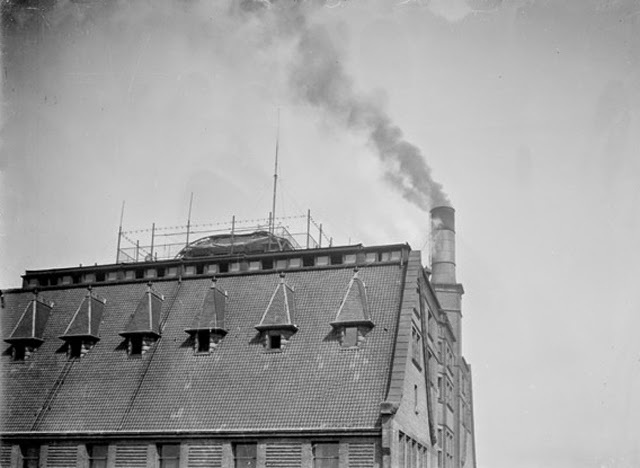 Two weeks after the conservatory opened, the complaints of the building’s tenants were so many and so vigorous that The Tribune observed that the “nice linen-woven paper” used to record them was too thin to carry their weight. An owner who had leased space in the building for a music conservatory was told to “stop the playing of musical instruments in his rooms.” A gentleman who had leased a space to sell candy and soda water found that leases had been given to other parties to sell candy in the building’s hallways. The rental agent (you’re not going to believe this), E. R. Bliss, was shown the list of complaints and responded that he “was tired of the job,” that he had only been drawn into it by the death of one of the other partners. The great building stood until 1939 when it was demolished. Proposed construction of the State Street subway would have required extensive and prohibitively expensive foundation modification. 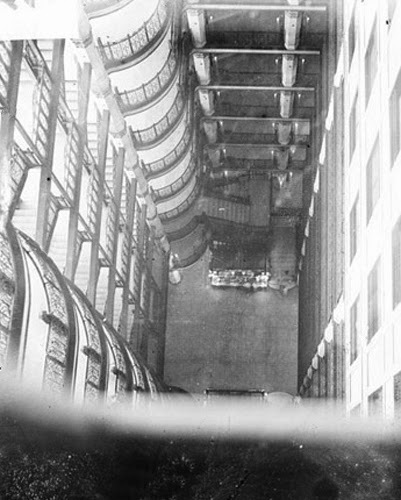 The elevators never really lived up to their billing because the capacity of some of the spaces on the upper floors would have required service that could not be delivered in buildings that are being designed today. But, my God, what a building this was. Think about it – within three short years, the tallest building on earth, a World’s Fair that would attract 27.5 million people to the city, and an Art Institute worthy of any city in the world. Chicago had become a city on the make. Not quite a thousand. A little less than half a century. A really, really good one to remember, though. HOW ILLUMINATI BROTHERHOOD MAKE ME RICH AND FAMOUS. I am a member of the illuminati brotherhood, i want to give thanks to the Lord Lucifer, for what he has done for me, he changed my life, he bring joy and happiness to my life, i am living a good life today is because of the illuminati brotherhood, if you are in any kind of problems or you in support in life, my advice to you is to join the illuminati brotherhood so that all your problems can be solve in life, to join the illuminati brotherhood you can WHATSAPP +2348163807836. THE ILLUMINATI ORGANIZATION or email: illuminatitemple391@gmail.com.